On a trip to San Francisco a few years ago, Shake and I stopped to eat at a little coffee shop. 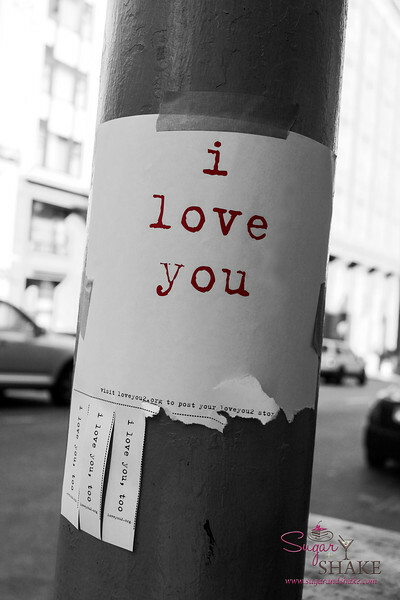 On our way out, I spotted this adorable sign on a lamp post. Snapped a quick shot and converted it to black and white. I know selective color is a little cheese doodle-y, but I felt like it worked here.